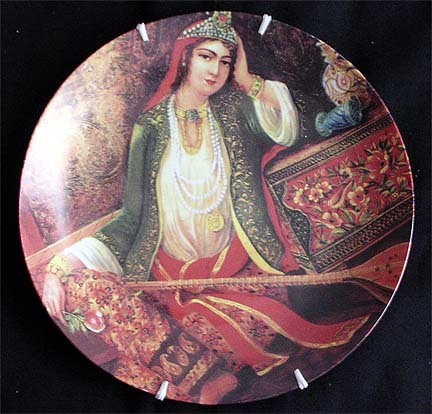 This beautiful plate is a great decorative touch for anyone with an interest in the arts of Persia. 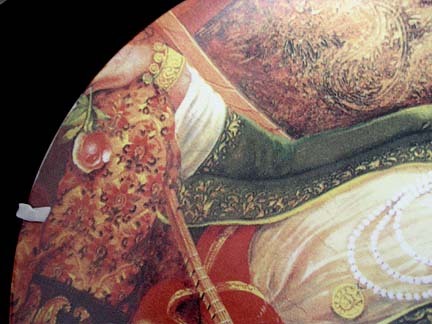 This portrait is of a Qajar Dynasty (1795-1925) noblewoman lounging with a musical instrument known as a tar. 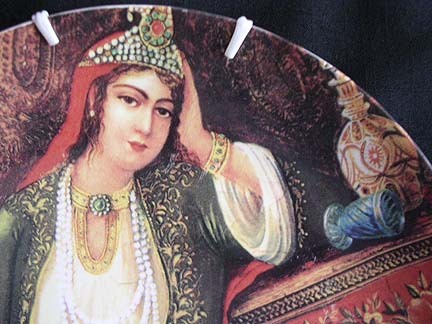 It is very much in the style of the famous Persian painter Shakiba. 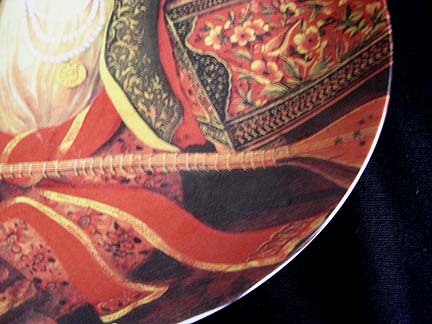 The diameter is 25 cm.